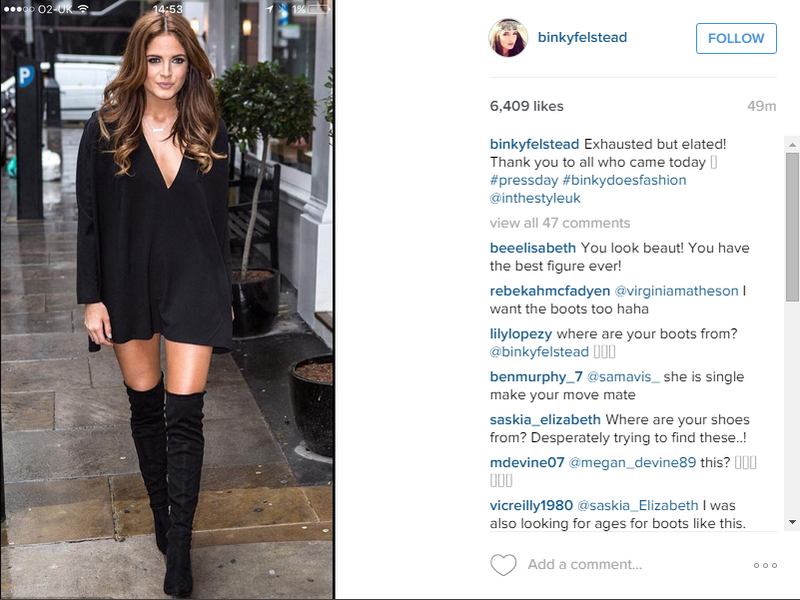 Made in Chelsea star Alexandra (Binky) Felstead attended her press day today for the launch of her new clothes line BINKY X with InTheStyle.com. Having been to a recording of a MIC special of Virtually Famous a few weeks ago, and following her Instagram account, I already knew about her upcoming line. At the filming she was wearing the most amazing tartan check shirt/dress and knee high boots (both above). I fell in love and knew I had to have them! Searching and searching online, I discovered they were due to be launched this week, so eagerly awaited the announcement! The day finally came.. and I forgot about it! Typical me! But I reminded myself today, and unsurprisingly, its sold out already! :( They come in sizes to suit all, from a 6 to a 16! The next dispatch is in late October so make sure you get your orders in! They're also offering 20% off for students too! Her collection is full of chic autumn essentials, from floaty frocks, jackets and fringing, you'll be sure to look like you're "Made in Chelsea"! 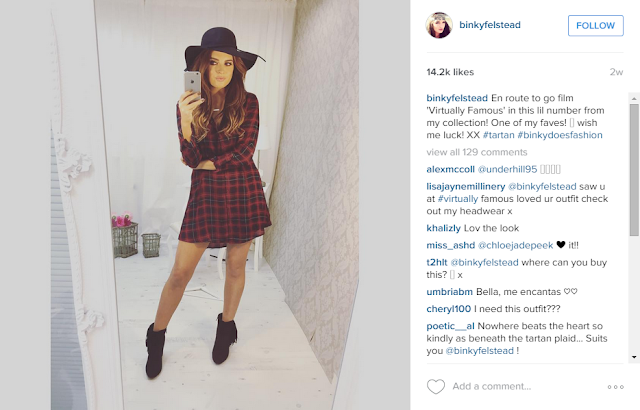 I LOVE two items in particular; her Red/Navy Check Shirt (£33.99) and her Black Plunge Neck Drape Dress (£34.99). I just love how casual they are but can so easily be dressed up or down! My favourite looks are the Faux Suede Over The Knee Heeled Boots (£44.99) and the floaty plunge dress, and the check shirt dress with Black Suede Ankle Boots (£36.99)! I need all of this in my life! Have you bought one of these? What do you think of her new line? Let me know in the comments below! Meet Kirsty and Jasmine; sisters from London, aged 27 and 25. 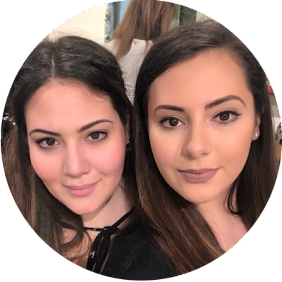 "We started up blogging in 2011 to share our beauty recommendations and travel tips to likeminded people, and well it's just grown from there to include all sorts of topics - following our lives as we tackle adulthood and explore the world!" SVS Vs. LVL | Nouveau Lashes* | What's The Difference? We want to let you know that all views expressed here on our blog are our own. We'll let you know if something was a PR sample with a little * (we are PR friendly by the way) We are unbiased and we want to let you know what we really think! © Sœurs de Luxe | All rights reserved.